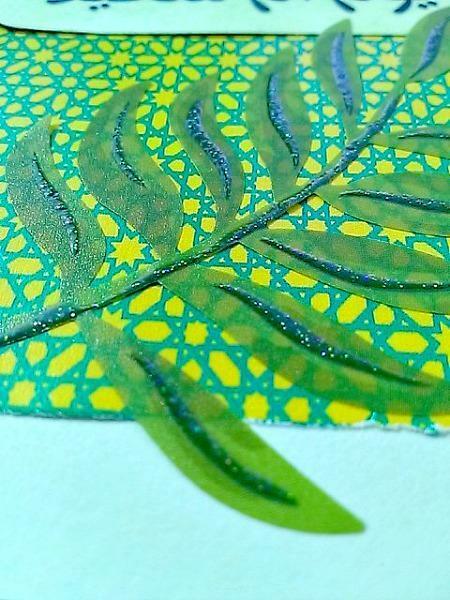 This exquisite green and yellow Arabesque background is a perfect fit for the glittered vellum leaf on top. 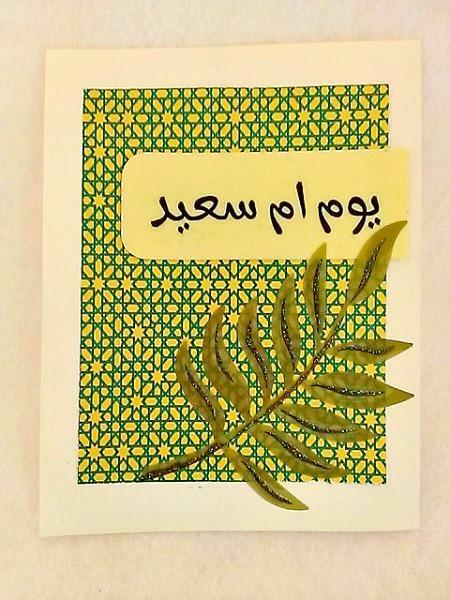 The Eid Umm Sa'id sentiment was written on vellum and added to yellow cardstock. 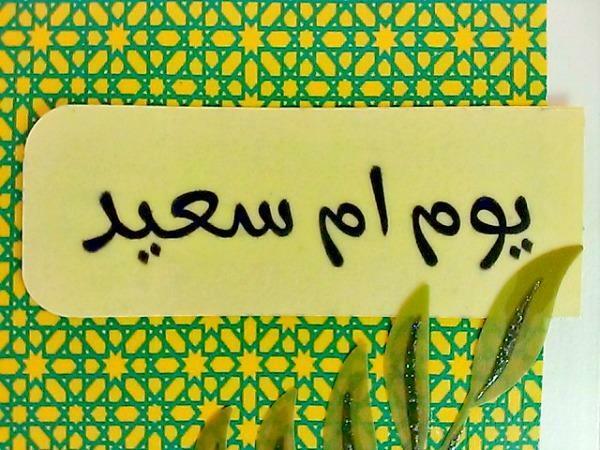 A perfect card to let your umm know you love her! 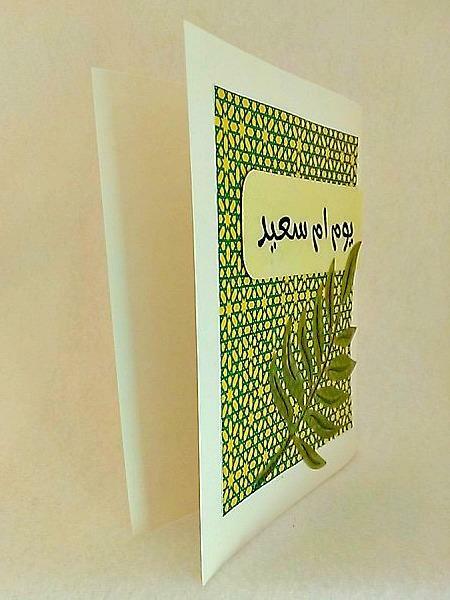 It measures 4 1/4 x 5 1/2 and comes with a beige envelope in a protective plastic sleeve. 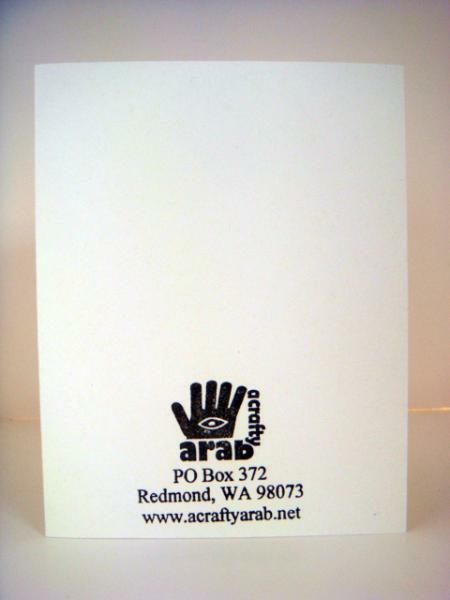 Since this is an Arab card, it opens left to right.